If you've dyed your hair red and don't like the color, you don't have to put up with it. Contrary to popular belief that red is the most difficult color to remove, it can actually be a relatively easy and quick process. You can remove red hair dye and return to a less fiery color with less hassle than you've been led to believe. In the case of a lighter hair color, you can't just dye over the color in order to remove the red hair dye and lighten your hair. The lightening needs to be performed as a separate step prior to dyeing with the new shade. To achieve a darker hair color however, requires nothing more than the application of a new dye, but the shade chosen needs to be based on correcting the red tone as it darkens to the new color. What if you don't want to go lighter or darker though? As luck would have it, if you don't want to go lighter or darker and just want to remove the red tone from your hair, this is also achievable. Once you've decided on the color result you'd like to achieve, you can proceed to eliminating the red and transforming the look of your hair. If you have red hair and you want to go lighter whilst also eliminating the red, you can't simply apply a new shade of hair dye over the red and hope it will work. Hair that has been dyed can't be lightened with more hair dye, and the hair dye itself won't neutralize the red tone if it's the wrong shade. The first step towards dyeing red hair lighter is to apply hair dye remover to strip out as much as the artificial color as possible. Hair dye remover breaks the artificial color molecules down into a form that can be washed out of the hair, rinsing out permanent hair color. It can't always remove all of the hair dye, but it will save you hassle down the track by removing as much color as possible without damage and making it easier to lighten it further with other methods later on. Following the use of hair dye remover, you will notice that the product itself takes out a lot of the red tone and lightens your hair a little. It won't usually be enough to eliminate the red hair dye entirely; nor will it be able to lighten your hair to a much lighter shade like a light blonde though. If your hair is still too dark for your desired color, the next step is to use bleach to lighten it further. When applying the bleach, you can leave the product for up to an hour whilst it works. A single bleach process on dyed hair will lift around 3 levels, which is enough to take dark brown to dark blonde, or light brown to light blonde. If you want to lighten your hair more than that, you will need to either bleach it twice or choose a color that requires less lightening to achieve. You also should only bleach your hair if your hair is in good condition and hasn't been damaged by other chemicals like perms or excessive dyeing. 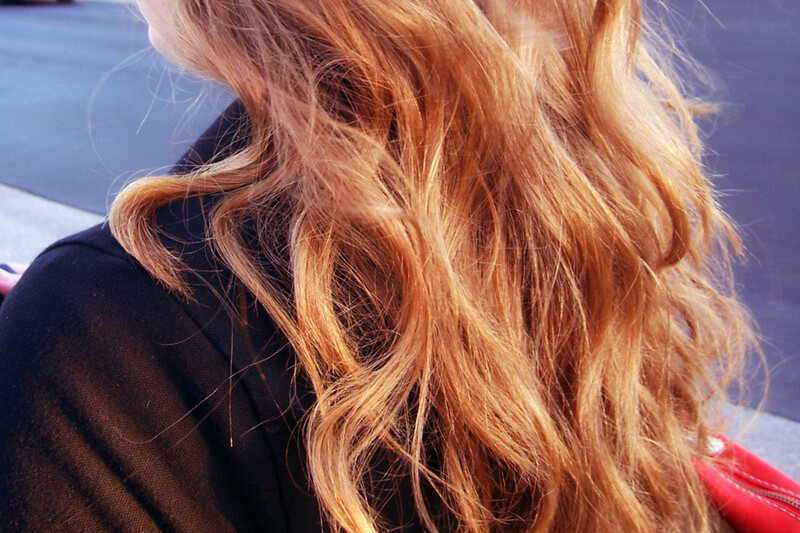 If your hair is damaged, you shouldn't be attempting to go lighter. It's not impossible, and it won't ruin your hair in most cases, but it certainly won't do it any favors in terms of how it looks and feels. If you need more information about using bleach on your hair, this article will help you apply bleach safely and effectively. The last step between your old red hair color and your new color is to apply a new hair dye to your hair. You absolutely must use an ash shade here. If you don't use an ash shade, the red will not be corrected and will persist in your final color because it is the green tone in the ash dye that will eliminate the red tone from your hair. The shade you use should also be at least one level lighter than your current level to avoid over-toning as hair that has been through color removal tends to be porous and will absorb more dye than expected. You are using the dye to tone out the red and achieve a neural color, not to actually dye your hair an ash shade. If you use the exact level, your hair can end up gray to greenish instead of natural. To apply the dye, section out your hair and apply as with any other hair dye. Working quickly is of the utmost importance here in order to achieve an even result. Following application, this process needs to be watched constantly because toning can be quick. You'll get the best results if you rinse it once the red tone is neutralized and you like how it looks. If you're aiming for a golden or beige shade, this will mean it is washed out sooner, whilst it will have to be left in longer to achieve a natural or ash shade. You don't have to leave it in for the full development time; simply remove the dye when the red is eliminated and you have a color you're happy with. If you'd like to get rid of red hair and the new hair color you want is darker than your current color, this is the easiest way to eliminate red hair. In this process, all you will need to do is apply a darker color. It's the choice of shade that will get rid of red hair dye by neutralizing it. There is one rule to follow when applying this darker color, and that rule is that you need to use a hair dye with cool tones to counteract the red in your hair. If you don't do this, the red will persist in your new color and make it appear warmer than you intended. The darker the dye is, the better it will cover, but that red tone will never completely be removed. If you can live with a little warmth in your new color as opposed to your previous red color, this won't matter and you can simply use the exact shade you want, or at least a shade that is slightly cooler. If you don't want even a hint of red left in your golden brown, it's best to mix your color with a cooler shade. To do this, all you need to do is mix your desired shade with the corresponding ash shade. Iif you wanted to go from a light red blonde to a medium natural brown, you wouldn't use the medium natural brown shade by itself as the excess red in your hair will result in your color looking warmer than intended. Mix 1/4 medium ash brown into the shade and you will prevent this from happening. In most cases, mixing your desired shade with 1/4 of the same ash shade will be enough to take away any excess red. The darker you are transitioning from your starting color, the less you will need to add. If your new color is only slightly darker than you started, you will need to add more ash to counteract the red. If you don't want to go lighter or darker and just want to remove red hair dye from your hair, you might think this is impossible. The popular conception is that red hair can only be removed by bleaching your hair extensively or covering over it with a dark color. All hair color tones follow the same rules that color theory is based around. Tones opposite to each other on the ubiquitous color wheel neutralize each other, and you can see this process at work in the toning of blonde hair with violet shampoo. The violet tone counteracts a gold tone in blonde hair because the colors themselves, when combined, form a neutral shade. The red tone is subject this rule of toning too, and by looking at a color wheel you can see that the color directly opposite to red is green. 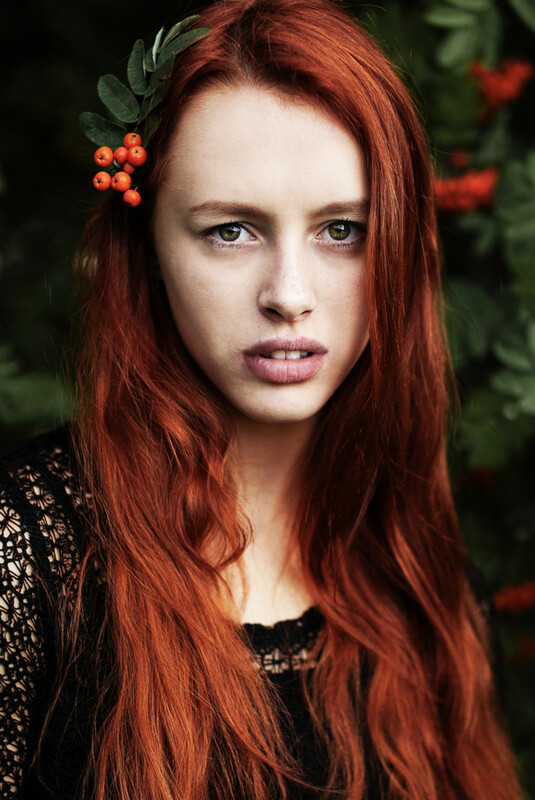 In order to remove red hair dye, you need to add green tone to your hair to correct the red tone. You can do this by using green-based ash hair dye. Hair color is based around a level system where the first number used to identify the dye allows you to decipher how dark the shade is. These levels range from a level one, which is black, to a level 10, which is the lightest blonde. Red hair fits into one of these levels depending on how dark it is. If your hair is a bright red color for example, it may be a level 7 in the system, characterizing it as a medium red blonde. For all intents and purposes, this color isn't blonde as most people would understand it. What makes it a medium blonde color is how dark the actual shade is. In this sense, even though it looks like a cherry red color, it sits on one of the blonde levels. If you were to neutralize the red tone in your hair to a natural tone, you would actually be left with a blonde color. 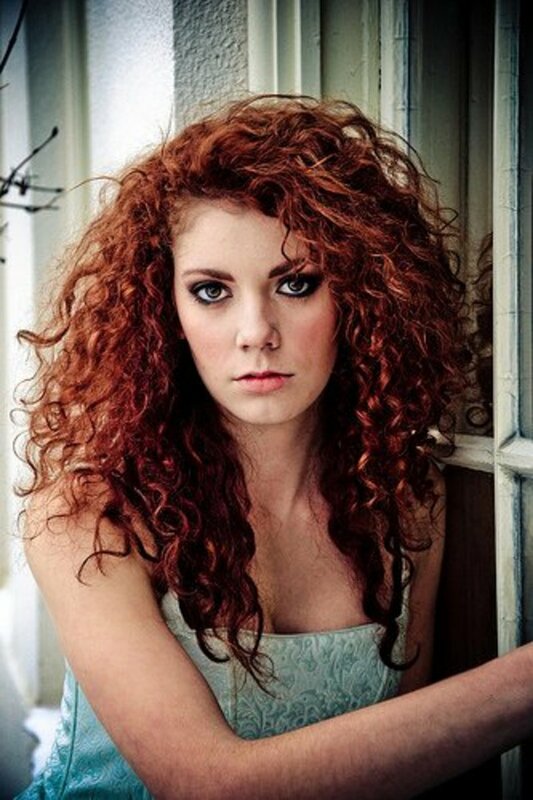 The process of toning red out of your hair is easiest when your hair is in the brown range of levels. Shades from a level 5 to a level 3 correspond to light brown through to dark brown, and the ash dyes available in this level range all contain green pigment which will counteract the red in your hair. All that is required in this case is to apply an ash dye one shade lighter than your current level to neutralize the red tone and take you back to a natural brown. Wella Koleston 8/2 Light Matte Blonde dye can be used to eliminate the red from red hair that is a level 7, toning it to a natural medium blonde. If your hair is a brighter red color in the blonde range of levels, you'll find that ash dyes in this level range no longer contain green pigment. Once you reach the blonde range, ash dyes have switched to a blue primary tone, and then to a violet-blue tone as you get lighter towards level 10 lightest blonde . Some brands, like Wella Koleston, produce a separate ash blonde line containing green tone, which is actually designed to neutralize red tones in blonde hair when lightening natural hair or performing a color correcton on dyed hair. These dyes shouldn't be used on most blonde hair, but for eliminating red and toning your hair back to a natural blonde color, they are perfect. If you don't know what dyes to look for to tone out the red from your hair, you can use the table below. To use this table, match your bright red hair to the red color on the left and then choose one of the hair dyes listed that can be used to tone the red out of your hair. For the best results, use a shade that is one level lighter than your current level to avoid over-toning your hair. These ash dyes are intense in pigment and you don't need to use the same level as your hair to tone with them. 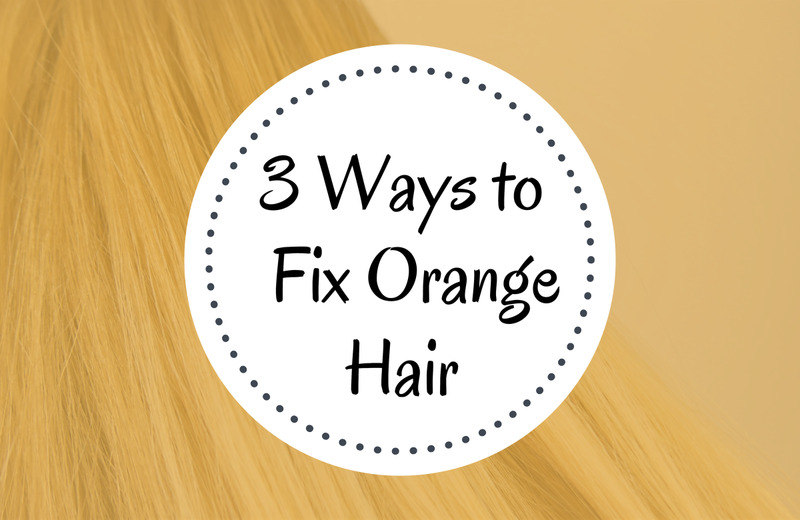 Once you've eliminated your red hair, it's important to look after your color. All hair dyes fade, including permanent colors, and your new color will look best when it's properly maintained. If at any point your color fades substantially over time, you can use color refresher shampoos to return it to a more vibrant appearance. By looking after your hair and caring for your color, you will guarantee that your hair looks great now and well into the future. 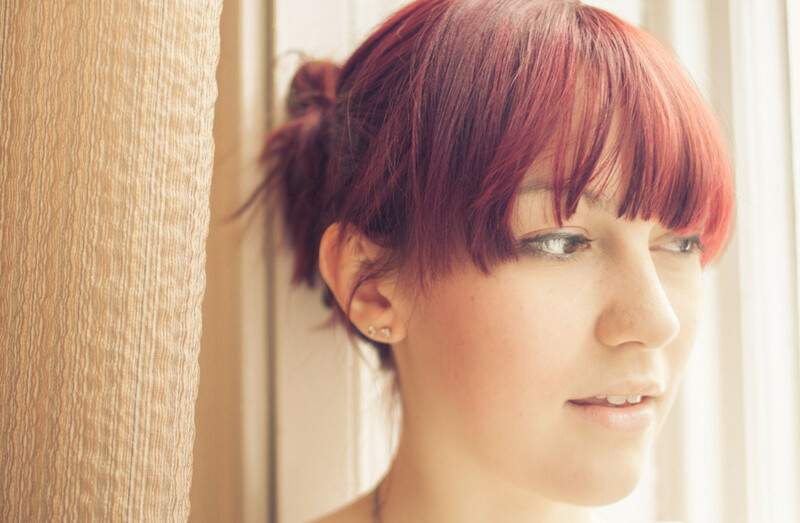 Do you have a question about removing red hair dye? Need help to eliminate the red from your hair? Leave a comment for tailored advice and share your insight with other readers. I had my hair colored red with blonde highlights about 3 years ago, now i want it back natural blonde but I'm afraid it will turn green... what do i do! Please help!! My hair was dyed professionally a day ago, I wanted an ash blonde and it came out a bright red which I did not ask for. What can be done to completely get rid of the red and when can I have this done again. I hate it. Please advise. Thank you. I noticed every question is unanswered why do ppl keep asking questions with no response. I dyed my hair R68 rich auburn true red...Ruby rush by l'oreal Paris its w ed my roots didn't take & now i look like a clown. But after reading this article im even more confused then before. Why cant you just write it in lament terms. People are looking for help because they don't understand the hairstylists terminology. I want to get rid of my hair color so bad i would do just about anything. Hi I'm at a 7IR decided I no longer want the red bc it's staining everything, been maintaining this color for over a year now. My natural is a dark mousy blonde. I kind of just want to pull the red out so curious as to what level I should use of the ash, should I use an 8a? I had been using black semi-permanent dye on my hair for a couple years, and bleached it here and there to get a streaky bright red look. I applied Special Effects Blood Red Hair Dye and it worked like a charm. I'd like to change the streaks to a dark green - any advice on how I would go about doing this? I'm pretty sure my stylist used a 7C red on my dark blonde hair. If I use Ion 6NN will it make brown or dark blonde? I was at a level 5 red for a little over a year and had my professional colorist color my hair with a level 5 brown plus green for the first session, and then a level 5 ash with blue and green tones plus a green toner on the second session. The result? Red highlights throughout the new medium ash brown. within a week red and gold tones powered through the medium ash brown, and it’s really a shame it’s not lasting. This article is WAY too simplistic! Not everyone can get the red kicked out as easily as described here; even with a professional service. I’m starting to think that on the 5th service, the red may finally be kicked out for good. It’s not easy! hi I’ve been trying to go blond, and I always end up with my hair very brassy. I have medium brown hair with Red orange undertones. I just want to get my hair to medium brown with some bond highlights. How can I accomplish this? Hi i need help please. I have been trying to go a lighter brown all over but my ends keep staying darker. I decided to put a auburn henna all over for a change i have a few red tones through hair but ends still quite dark. But my problem is my roots have gone ginger/Orange please help what can I do. And if I put a brown on where to i start to dye first roots or ends please please help. Or how about just going to a professional because your playing with fire. I have dyed my hair with garier natural creme 6.66 after cutting down my natural. I dont like it as it looks like a faded hinna colour at the front. How can I repair it. What colour should I use to make it darker with copperish or brown touch? Please help!I have been a bleached blonde for over 2 years and about a week ago I dyed my hair red. Cherry crush was the name of the color from the L’Oreal Féria power red line. I only had about an 1/8 of regrowth of my natural color which is medium brown and about 2 inches of a light red and the rest was blonde. Well it didn’t turn out well at all! My roots and the 2 inches are more of a red but the rest is turning dark pink with patches of lighter pink. I hate it!! I want to either go back light ash blonde or rose gold. My hair is dry and was before I ever started bleaching it. So should I try a bleach bath and then apply a light ash blonde color or what? I had bleached blonde hair and dyed it with Feria r68 rich auburn true red. It came out cherry red and I hate it. It's been almost 6 weeks now and it's faded a lot and I have a lot of my natural brown roots showing. I want to go to a natural auburn red hair color but I'm concerned about it not covering the red that's left now and I'm also worried about my roots coming out a totally different color than the rest of my head. I was blonde to dark cheŕry then tried dyeing it back blonde all hair fell out was like chewing gum I'm red now an want to go back to my natural colour dirty blonde but needs stripping any advice on which strip to buy ???? I dyed my hair using an auburn brown color and it is really red. What color can I use to dye it brown? For years I have had my hair some form of red. Now I want to go purple. I used ColorOops (strips color) and now now my hair went from dark red with brown roots to an orange with lighter red tones and lightened my roots to a lighter ash brown. The color I have chosen is a dark violet. Would I still need to dye my hair a light ash brown to fully get rid of the orange and lighter reds so there would be no worries about them coming through the purple, or would I be good to go ahead and dye it the dark violet? Hi I changed my natural dark brown hair into a nice light copper brown two months ago. While renewing the color at the salon this week, it turned into a cherry red color. How can i get back to light copper brown? What do I use to get the light red out of my hair? I've been trying to remove red tones to get from a light copper blonde to a more natural brown and my hair dresser suggested using a few drops of green hair colour in with Head and Shoulders for 20mins to neutralise the red. Also if you don't want to bleach the colour, but need to lift it, vitamin C powder mixed with head and shoulders and left on for an hour works a dream! I just colored my hair a medium red I think. That is my dilemma I don't know if it was a light red, or a medium red. I previously had died light ash blonde. I hate this red color. Didn't know it would come up this.. what do I do? If I can't remember the color red I used? I read to use one color lighter to get out the red. I don't mind having red tones but want to get rid of this completely red hair. And it is dark red. HELP!! Hi! I'm looking to go from a redish orange to a rose gold! I have the rose gold colour I want...do I just throw it overtop and see what happens? What kind of colour would I get??? Thanks! I had bleached my hair then put on an intense red blonde dye. As my natural hair grows out, I continue to use the same color dye. Obviously, as the red fades, the bleached portion of hair fades much faster than the parts that are brown hair dyed red. My plan is to go a deep red brown but I'm concerned that the bleached parts won't hold onto the brown dye. What would you suggest I do when I go about dying it? Aside from chopping off the bleached part since that's still 80% of my hair! Use a colour corrector. I use colour b4 and its always worked. 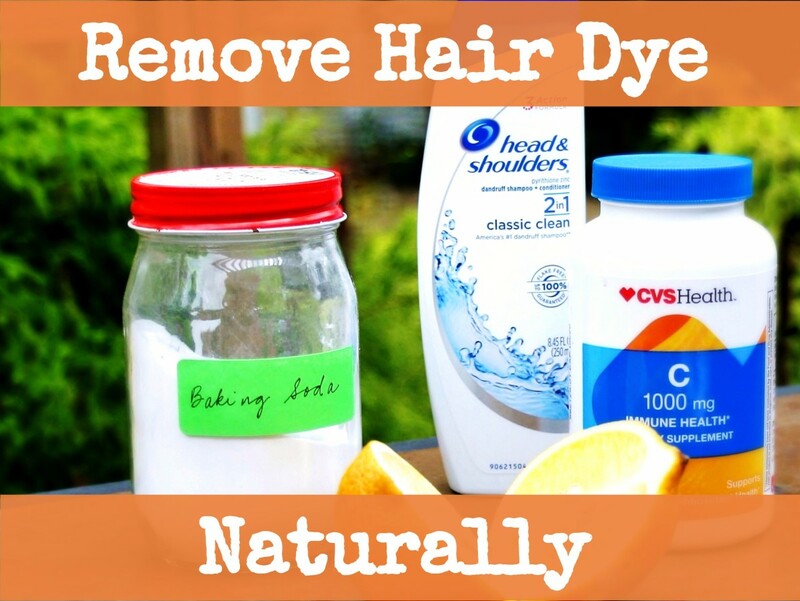 It's worth trying this before bleach . It won't work as well if your hair is pre bleached. Bleach after if you need to, it will be a light ginger after. I have lightened my hair from dark brown to ginger / copper / honey blonde. The hair on top is a darker copper than the hair underneath. Is there a way to tone down the copper tones without turning my hair a light dirty shade of green ? I want to use as few chemicals as possible to improve the condition of my hair. A friend retouched her hair up and a little to much RV, to dark. She wants it lighter. What would she do to lighten? I filled with colorful protein in warm brown over bleached hair that had dyed butmeg but didn't take on ends. Thenput medium copper brown o and it's now really red!!?? Help she wants medium brown with some copper highlights, but this is just crazy red!!! I used to have dark brown hair but I bleached it and colored it a deep red. Now I want to color it back to the dark brown without having any red tones afterwards. What do I do? I have medium red hair ,I want it to be light brown , I did highlight but it turned orange , so I end up having red hair with orange highlights, and after three days I dyed it dark blonde but the result was worse ,how can I turn my hair to light brown or brownies . VANISH color corrector is the ONLY one that seems to work for most people. I have used it 2 times (5 boxes the first time 3 years ago) I have just purchased 4 boxes this week. IT WORKS....but it may take several boxes to get it all out. I Love it!! Amazon sells it and also HairCrazy.com. hello, I need some advice on how to change colored red hair to a golden brown without bleach. Is it possible ? Hi, this article is very helpful!!!! I dyed my hair burgandy 2 months ago, I want to make it lighter, thinking of dying it ash blonde now, or may be goldenish blonde but im scared as to which color will I achieve after this....would it work??? My natural color is dark brown, I've dyed my hair color 3 times or so...please help!!! Hi! I used garnier plus 6.66 to dye my hair 'garnet red'. To get back to a natural light brown colour would I be right in thinking I could use the garnier olia dark blonde 7? I have red hair and want to go back to my dark brown. How do I need to go about it without spending a ton of money an ruining my hair? Hey! For someone with bright red and orange hair that are semi permanent colors, would a color stripper be my best bet? I'm trying to go lavender, my natural hair color is dark brown but have been bleaching it for like 4 years. Any tips would be Mega helpful! Thx! hey! Thx for this article!! Just wanted your expertise on my hair. My hair is naturally dark brown, but I've been bleaching and using semi permanent dyes on it for like 4 years. Currently it's bright red, and I wanna change it to a lavender violet color, will a color stripper work? Or do I have to bleach? Hey i had a very vibrant red colour in my hair that has faded to a orange/fairy floss colour, would dying my hair a darker colour with cool tones still work? I dyed my hair using Loreal Feria R57 POWER REDS - INTENSE MEDIUM AUBURN / CHERRY CRUSH. I rushed and half assed it and missed some roots at the top of my forehead. I tried to fix it about week later (Probably shouldn't have waited so long.) and the color still didn't take to the roots at my forehead and now I have bright cherry red on the top of my hair and it fades to a dull auburn an inch or two from the roots. The color at my forehead is a light auburn. My hair is currently 3 different shades of red. How do I even this out? Hi, I've got bright red hair can I dye it with a black / blue LIVE colour. I am a hairdresser . I did a client who I've been doing for years. This time I added a drop of cherry cola (shades) to my formula of 6.0 and 6.68 (schwartzkoff) the color came out red. I tried straight moss on her hair. It didn't budge what can I do. hi, i recently dyed my hair dark brown burgundy its by the ion brand, & i like it a lot my hair is just getting damaged so i was wondering if theres a way for me to just go back to my natural color without causing more damage? Hey I have some dark Red parts and other parts brown. I want to dye the parts that are dark red a light copper mahogany brown and the brown parts a dark intense red. Can I dye the dark red parts over or will I have to use a color remover? Hi, I have been reading the threads and you are so knowledgeable! I am a natural dirty blonde but have been been coloring my hair a Miss Clairol high lift ultra cool blonde with a 30 volume developer for the last 15 years (at home). I recently went a copperish red and I just dont care for it. I had it professionally done and she did a redken color with a gloss on the roots. I am interested in going back to my light blonde hair. Is it possible to do this without bleaching as I have only ever used developer and color on my hair and not bleach? If I use a color remover and then the 30 volume developer and my usual hair color, will it lift to that color or will it be a weird red/orangey color. My hair is really really healthy and would prefer to avoid bleach, but will do whatever necessary to get back to my light blonde and feel like myself again. I found a green corrective additive for hair dye since i dont have access to any of the other dyes on your list. What would you recommend I add it to if I have a level 7 "blond copper golden" and I want to go for a level 7/8 golden blond? Should I add it to a level 8 ash or natural? I have ashy golden brown hair. I also have keratin tip extensions in my hair the same color as mine to match. I decided I wanted to have my hair a little redder so I dyed it an auburn red. The color was way darker on the tips then my roots so I then used oops to just get it out. Oops made my hair orange!!! I already dyed my hair 2 times in 2 days but the orange was so gross I didn't want to go out the house. I did research online and then decided the next day to use a medium ash brown to get orange out and just be brown. Well it only worked on my ends again!!! My real hair on the top is still orange! What should I do now? I hate my color. This is very frustrating and tiring. Help, my daughter is a natural brunette and she decided to dye her hair red and then figured out is was not for her and wanted to try and go back to her natural color as close as possible or remove the red somehow. We went and bought brown color garnier dye and put it on and it may have toned it down a bit but the red is definitely still there and she is not happy. do you suggest she gets it fixed professionally, though we do not wanted to pay the money or just go to a beauty supply store and they will be able to suggest to us what we can do? if we do it on our own how to you suggest we go about it and what colors should be used. Hi, my natural color is light to medium brown and highlighted most of my life. A few years ago started to box dye it and at one point used an auburn, since then been trying to get it back to my natural color. I was told to use the wella toner dye (nuetral one) but I'm so confused that the wella toner dyes only come in blondes, I did do it once but was told that I had to keep doing it until the red completely is out of my hair than dye it to the closest color to my natural. I used the toner blonde dye once or twice & then kept mistakenly choosing the regular wella browns that were closer to my natural color, only to keep see the red coming thru. What should I do to get the red dye completely out of my hair to go back to my light to medium brown natural color? I just dyed it again tonight & used wella light brown (turned out dark brown, close to auburn b/c of the red). Hi Maffew ! I am naturally about 75 % grey with the rest a level 5. My hair is short and is currently a 4RV all over . Previous to that i was an ombre ( dark roots - 3N with light beige blonde ends -level 10). Because the red/ violet kept fading I have colored it over and over the same tone in about a 1 month span. Once using a semi permanent and the other times using permanent. I want to go back to the ombre ( dark to light) the easiest/gentliest way. Hi Maffew! I've been dyeing my hair red (revlonissimo 55.60) for 5 years now. I now want to dye it to a red violet tone (koleston wella 55/65). Is it possible?? Can I just dye over my current color? I don't really want to go through the process of hair dye remover or even bleach it... :/ Don't know if it's necessary, but my natural hair is dark brown. I'm naturally a 5/6 dark blonde/light brown, for the past year I've been using an 8RG/7G combination with a 20v developer to dye my hair strawberry blonde. HELP! I'm a brunette, naturally with over half turned silver. I colored my hair yesterday with 5G Medium Golden Brown and its just too red for me. How do I get the red toned down and bring out more brown? My nephews wedding is in 5 days! Thanks for your time & help! Hello. I have a nightmare for hair! It has been dyed and bleached too many times. So I've been trying to stay away from permanent dyes. So right now I have it dyed with manic panic red and then I put a perminant red on top of that... I know. So bad! Anyway what I'm wondering is if I made a brown using manic panic red and green do you think it would work? Or is there a better way to get rid of the red and achieve a nice brown colour with minimal damage? If I just put a brown dye on top would it work? I'm not sure what level my hair is at. The top is a lot lighter than the ends. So it's a few different levels. Like I said. A nightmare! Help! I originally had darkish chestnut hair, I died a dark red over it and I understand exactly what your saying with nutrulizing the color but I'm a bit nervous what exact hair dye would you recommend that wI'll compleatly eliminate the red in my hair ? Hey Maffew! Hope you're still reading this. I have been dying my hair a bold red for years. At the moment, I'm using semi-permanent dye so I can grow out enough virgin hair (eventually) to have a good chance of bleaching it so I can add a bright fashion colour. I will have some permanent red dye in the mid-lengths or at least the ends left - after using colour remover, will bleaching it take care of this? Hiya! I was wondering if you could help me with changing my hair colour. My hair is dark blonde with some gray and now I dye it light copper with using half 9.0 and half 9.4 with 30% peroxide. I want to go to light blonde and i was wondering how to do it. Any advice? I am attempting to tone down my hair. My hair is light red and I want take some of the red out and even out my roots. The hair number is 8RN/71RG with 20 standard lift and I use both even volume. I am 75% gray. I used a box red on my light brown hair and it was really dark red. I then went to the salon because I didn't like the red and wanted to do an ombré with medium/light brown on top with blonde on bottom. When the girl tried doing this it turned a light brown all over with orange pieces and purple pieces... Didn't like that at all so she colored over everything with a dark chocolate brown. It still has a reddish/purplish warmth to it and is very dark. It's been about 2 months since then and its faded a little bit not much. I still want to achieve the ombré I was talking about but don't know how I should go about doing it. Hi Maffew. These tips are amazing! I have been all over the red/copper spectrum for the past decade. I'm currently wanting a change and hoping to get to a dark blonde with subtle ombre highlights. I've been combining Feria c74 (bright copper) with Feria 82 (medium ash blonde). It's a pretty color, but still has lots of gold/orange. My natural color is an ashy dark blonde/light brown. What would be the best plan of action to get towards a dark blonde with ombre highlights? Would I put in the bleach highlights first and then tone the whole thing with blue/violet? Or would the highlighted hair need a different toner. I don't think I need a lot of lift overall, maybe one level if anything. I asked my hairdresser and she was inclined to bleach the red out, which I don't think is necessary reading your comments. I would love any suggestions you can offer!! Hi, thanks so much for your article! I am naturally on the darker side of light brown or maybe a lighter med brown. About a week ago, I dyed my hair "Medium Reddish Brown". It turned out a little darker and way redder than I was expecting. Doesn't look great. I'd like to get back to a more natural brown and do bayalage ie. Jessie James Decker. I'm wondering if I need to do a color remover or can I just correct it with a light ash brown? Thank you!! Hiya. Lots of fantastic comments. Thank you. My story is for the last god knows how many yeats ive died my hair red. Lots of colour build up. I need to move away from red now as i want to lessen dying my hair. Whats the best way to get to medium dark brown. I was thinking if using a stripper and from what ive read using an ash brown dye. Do you think this will get rid of the red. Thanks in advance. Hi i have had my hair lightened to go from black to brown at a salon they bleach washed it which left it a brassy red tone then applied ash dyes 6.1 & 7.1 mixed. I have alot brassiness showing through & even more wen in light & sun. what could i use to get rid of the brassiness & for my hair to look more cool natural brown. Ive had a bright red ombre for 2 years now and wanting to go more copper tone throughout the roots and ends without losing all the colour. Is their a way i can achieve this? Thank you so much for all of your advice. I actually had virgin hair and got a biolage that turned out very brassy. My hair was bleached 3 times trying to correct this by my stylest only making it worse as far what I wanted initially. My hair looked horrible. I went and bought wella hair dye very dark brown color and my hair turned out black. I hated it , so I did a wash bleach 2 times to get ride of it.My hair turned out a pink color. I went to a different s salon , hoping they fix it and my stylest assured me that ash green and expresso would get rid of the pink and bring me back to my natural brown color. I actually didn't. My hair is a dark , chestnut color with red highlights. All this was done within 1 month. Thank god I have strong hair and it wasn't as damaged. My question is that I truly want my golden blond highlights and a I was wondering how scan I get rid of this red brown color and how soon can I try highlights again. Hey Maffew. Firstly I want to thank you so much for your very useful tips, advice, warnings etc! Wow I'm studying to become the next big name in hairstylists lol! Well as u know, when starting in the hair industry we do experiment with different styles and colors and u know. I'm naturally a level 7-8( the dull blonde) I've been dark and all! But my hair currently a 5.2 mix 6.66 and as reds fade quickly I also used red color mask on my hair! Mut now it's partly fluffy due to the tinting. I would love to go to a light blonde +-10 with not having no hair left, nor fried beyond. Have you any idea of how I could achieve this goal in one day at our salon? Plz do help! PS thanks for inspiring me! hi..I have medium red hair..angled bob..I'm hoping to dye it dark purple..do you have any tips for me? please email me at staceypastrie@gmail.com..
thanks, I love your articles btw.. I need major help! For about a year I was dying my hair a bright ish red (schwartz one) originally my hair was strawberry blonde. I used colour b4 to get rid of some of the red which worked on my roots but not the rest of my hair. So I have my horrible rainbow colours! My roots growing in a light blondey colour, then a strip of orangey Orange then a darkish red but my ends are much lighter. My hair wasn't in the best condition before I used colour b4 and it didn't damage it but I'm frightened that the bleach will literally snap my hair off! Any suggestions how I can go lighter? Not sure if I should get it cut shorter and then just try and leave it to grow about or attempt a bleach ? Thanks! The most important thing initially will be to address the damage and reverse this as much as possible to keep your hair in better shape. Protein treatments are the best product for this and should decrease the breakage and hair loss after usage for at least 2 weeks. If you'd like a product recommendation or more information about protein treatments, let me know and I'll discuss them further. As for the colour, you can correct this back to black, but you won't be able to use anything permanent until your hair is healthy enough to handle it. Whilst the use of permanent dye to go darker only causes very mild damage in most cases, hair that is already breaking off shouldn't be stressed further with this. Until your hair is stronger, I'd recommend using a semi-permanent black dye to get it black. This will gradually rinse out over a few shampoos and will need to be repeated as needed to maintain the colour until you can dye it permanently. There's no issue with using the dye too often because semi-permanent is non-damaging. With time and treatment, your hair will become stronger and it is at this point that you can dye it properly using a permanent black dye. In hair that has been heavily damaged like yours you may seen a lot of fading occurring over time, and this should be addressed by using the semi-permanent dye every few weeks to rejuvenate the colour as needed. When your hair gets longer and the damaged areas are eventually trimmed off, there won't be any further fading or need to colour to keep it looking black. Hi There, My hair is dark red, but what is the easiest process of changing my dark red hair to bright red? any suggestions will be great, as I haven't got a clue. You can definitely achieve a dark even red shade from this, but it does depend on how dark the darkest sections of hair are currently. The dye you use will need to be at least 1 level darker than this hair to even it out properly and get a more natural red. Once you know how dark you want the new colour to be, and how dark your hair is currently, you can plan to reach the new shade. If the new shade is at least 1 level darker than the current colour, it's fine to use this, and I'd recommend mixing in 25% to 50% natural shade so that it darkens properly. This means, if you're using 4R (medium red brown) as the dark red dye, you should mix one quarter to one half 4N into this. The addition of the natural shade helps even it out and take it all to the same darker level, but it will dilute down the red tone. If the red tone isn't intense enough after colouring, you can go ahead and add more red using a semi-permanent like Fudge or Manic Panic again, or depending on the brand of dye being used, you can add red concentrate to the mix during dyeing. If the new colour you want it close to the current level of the darkest section of hair, you can still use the same technique, but you may see more difference in level and tone across your head where the lighter and darker sections of orange and red were present. You can avoid this by bleach bathing the darker areas (if your hair is in good condition), and then dyeing as above. The bleach bath will lighten the darker areas just enough that it is able to cover properly. My natural hair is dark brown on sides with blonde (hi lift color) in the front. I dyed my hair intense red with permanent color and did not like the color so I used a color remover and the sides (originally dark brown) turned a coppery color and the blonde is now pink. Not sure what to do now. Ideally I would like everything back to it's original state prior to dyeing red or create the blonde (hi lift color) all over; whichever is easiest and less damaging. I've never dyed my hair prior to the blonde (hi lift) in the front so there's no issue with layers of color. You won't need to use a colour remover in this case because dark brown will cover over it. The red will actually act as the base tone for dark brown, which is itself a deep red colour. When you lighten dark brown hair, it turns a rusty red-brown and then eventually turns to bright red with further lightening. The reverse process is fine to go from red to dark brown. If you want to be extra certain that no red tinge will be present in the final colour, use a dark ash brown as the dye because this will neutralise excess red tone and prevent it from being visible. Otherwise, use a natural dark brown, but don't use anything warm in tone, which may be described as dark golden brown, dark copper brown, dark red brown, warm dark brown, dark mocha brown, or any variation of that. Hi I'm a natural dirty blonde with hints of red here and there from my Irish Grammy. I just had it dyed extreme loud red and black highlights underneath. It's only been two weeks and I'm seeing major sections of my blonde already reappearing. So I'm ready to strip it and go back to my natural color. Then put the fun colors in. I'm no stranger to stripping my own hair. So once I do it is kenra 5A and 7N with 20volume developer okay to use to bring my color as close to my natural tone? A stylist I know said 5A would as you've said help due to ash color. Then said to use the medium blonde to fully make my warm and natural cool hair get me as close to my natural tone. Your article has been the most helpful I have found. I currently have bright red hair (wish I could attach an image). Anyway, I want to go to a dark brown but I don't want any red at all-- I was under the impression I had to use a color remover first. Can you recommend brands to mix the brown with to achieve a dark cool/ash brown? That is my natural hair color but under all this red will be blonde sign the red lifted my hair so much each time I died it...Thoughts? I colored my hair with Hicolor in magenta (my whole head) for about a year, then used a combo of 2 parts 5RR, and 1 part 7IR over it. I would love to be a warm chestnut/molasses color, like a 6/6G. Since my hair is so intensely red, i did a homemade strip with dish soap and baking soda. This took some of the intensity out, but im not sure if i should give the strip another go, or if i can get away with just mixing some 7A with 6N (2 parts 6N and 1 part 7A)???? Since it appears you answer a lot of questions... Maybe you could help me? 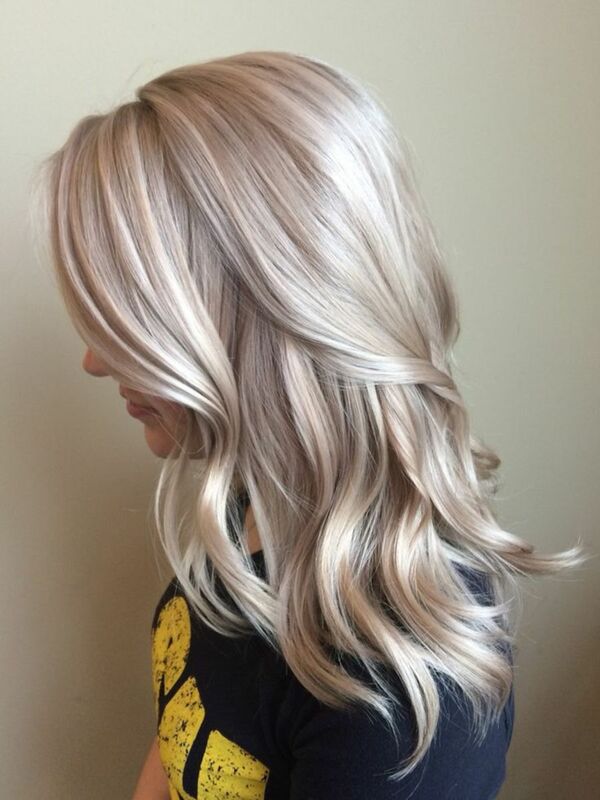 I am trying to achieve a medium-dark ash blonde to icy blonde balayage. I have mastered bleaching and toning my blonde length and ends, so I'm good there! However, I currently have a darker shade on the roots (was trying to go for a colormelt type look) ended up way too dark (maybe a level 6 or 7) and have this horrible red tone to it. I hate it. It is the bane of my existence. I am more familiar with blonde and using violet toners. I have played around with Manic Panic green in conditioner to act as a semi-permanent toner, but it has not combated the red. I even tried food coloring. I finally broke down and bought Wella light ash brown. It was super olive-y green and it was a level 7. Associate gave me a violet additive to add (which didn't make much sense to me, since violet contains red??). Anyway, nothing happened. My hair literally looks the same. Was it the violet additive that caused the red to stay? Hi, I've recently dyed my hair an auburn red color and it's been set and faded for 3 months now but still has a red tone, I want to dye my hair purple, but I'm afraid of how the dye will react with the red tone in my hair and my roots being there natural color brown, what's can i do go get rid of the red and move along to purple without having to dye it a different color then purple, I don't want too much damage done to my hair? I have naturally brown hair with highlights. About 4 months ago I had blonde streaks put in the ends and a bright red dye put in over the top (diff take on an ombre style), the top half was a dark red/brown. Now its all faded and i have blonde bits, orange/red bits and dark brown on top. I want to go back to the same shade i am naturally all over. Whats the best way to do this?